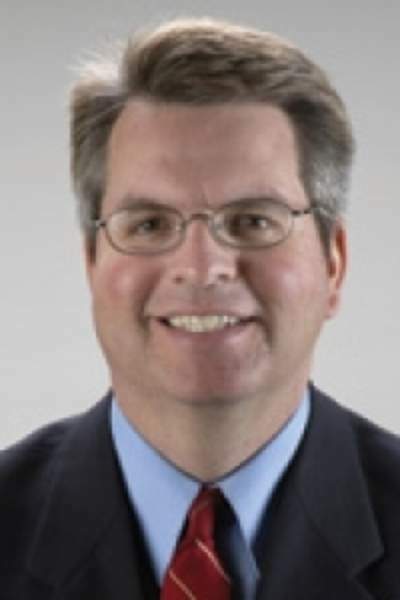 INDIANAPOLIS – Democrats picked up several seats in the Indiana House, and the caucus elected Fort Wayne Rep. Phil GiaQuinta as its new leader on Wednesday. GiaQuinta has served in the Indiana House since 2006. Last year he put his name forward to lead the House Democrats but narrowly lost the election. This year he won. “I am honored that my colleagues in the House Democratic Caucus have chosen me to be their leader. I am pleased that our caucus was able to pick up seats in Tuesday’s election, but I feel that we can do more to ensure that all Hoosiers are given a voice in their state government," he said. "We have a growing number of diverse voices in the House Democratic Caucus, and I intend to use their skills to provide a vision of how government can work for the people of Indiana. We will begin to articulate that vision in the 2019 legislative session." "We need to have a fairly aggressive agenda that will benefit Hoosiers," he said. "Once we are through session it begins anew with recruiting solid candidates. We had some great people run but ran out of funds to get them over the line." House Republicans re-elected House Speaker Brian Bosma; Berne Rep. Matt Lehman will remain Majority Floor Leader. As of late Tuesday, Porter County was embroiled in a legal fight and had not released any vote tallies. That made it impossible to know if Republicans maintained a supermajority in the chamber. Purdue Fort Wayne Associate Professor Andrew Downs said the supermajority is symbolic largely because Republicans haven't used it in a way to bully the Democrats. "To the credit of the Republicans they have not taken advantage of the situation," he said. "It hasn't played that much of a role because they understand the ramifications of abusing it." He noted that Democrats picking up several seats in the House and one in the Senate is a small victory. "It's better than losing seats or gaining none, but there was so much talk about a massive shift it seems minor," Downs said. The GOP previously had a 41-9 margin in the Indiana Senate, and Sen. Mike Delph, R-Carmel, lost to Democrat J.D. Ford , dropping the margin by 1. In the Senate, Delph had served since 2005 and was considered one of the most conservative in the chamber. He regularly butted heads with GOP leadership and pushed tighter immigration laws. "I just want to pause for a second to appreciate the historical significance that has happened tonight," he said Tuesday night. "Tonight, I become Indiana’s first openly gay lawmaker. Ladies and gentlemen, we just made history and no one can take that from us." Ford focused on passing a hate crimes bill, providing more funding for public education and raising the minimum wage. He ran against Delph four years ago as well. In the Senate, Sen. Rod Bray, R-Martinsville, is the new Senate President Pro Tem and Sen. Tim Lanane, D-Anderson, remains the Democrat leader.